My back is grumbling. My shoulders are grumbling. I am trying to not crumple as I push into a roaring headwind. The voice in my head is planning a fishing trip for my birthday and a giant burger lunch upon my return home and my packing strategy for a trip in August. I think about the insanity of riding Dirty Kanza. I think about all the people I know who have toed the line and persevered and finished. And I wonder if I will be able to claim the same. The wind knocks me sideways and forces me to look up. 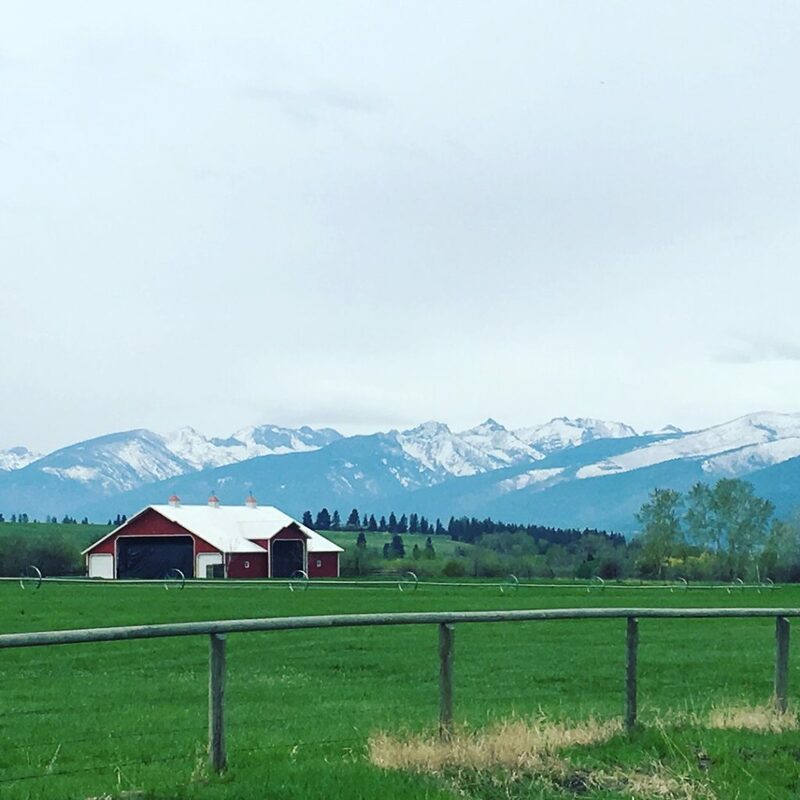 Apparently I have been climbing, because the Bitterroot Valley is now laid out below me, and the still-snow-capped mountains flank the west. I pass fields covered in bright yellow dandelions and more cows than I can count. I pass curious horses and creeks that are swollen from spring run-off. An Osprey sends out a warning shot as I ride under a nest and my back takes the opportunity to start grumbling again. I blame my friends and family for making a 200-mile gravel ride sound simple. When you’re surrounded by people who are finishing Ironmans and 100-mile runs, what used to be a superhuman feat now seems almost ordinary. On some days, I think that I’m nipping at their heels, ready to log an insane number of miles and brush it off like it was nothing. On others, it’s all I can do to turn over the pedals, and I wonder why I’m not sitting by the river with a beer. At work, I tell someone that I rode 120 miles as if I should be ashamed that I didn’t go further, and I’m surprised when they’re surprised that I went so far. In my quest to not die in Kansas, I seem to have warped my sense of accomplishment and bypassed the satisfaction of simple gains. And I wonder if I’ll be able to look up while I’m riding and see any of the scenery. I crest the top of the climb on my favorite local mid-week ride. 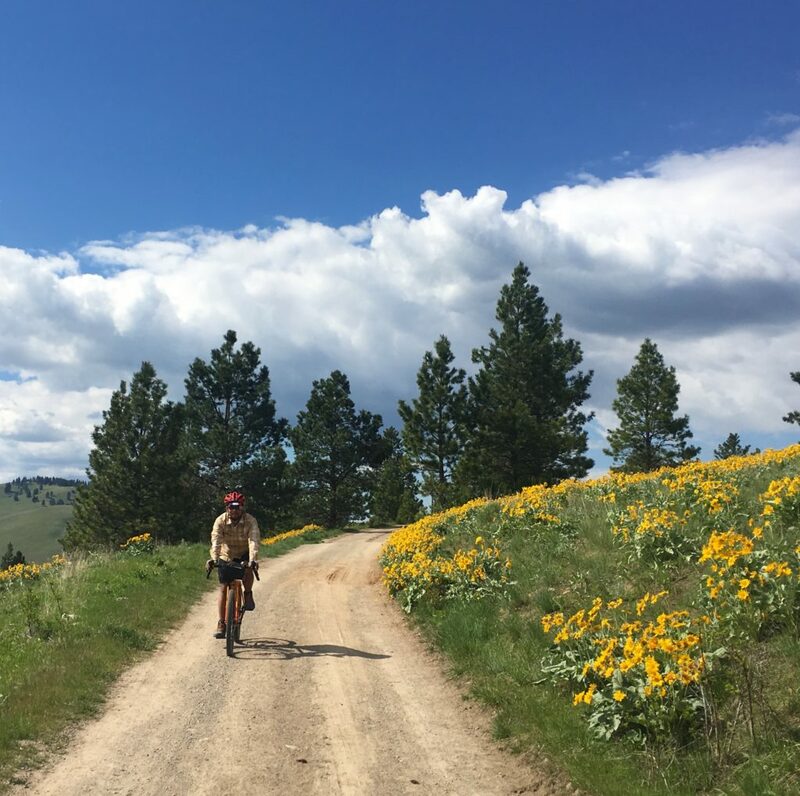 It’s finally spring in Montana, and the hills are blazing green with bright yellow flowers, as if I’d landed in a scene from the Wizard of Oz. I honestly have no clue if we’ll finish, and that’s not just a humble-brag. I have no clue if I’ll be able to walk afterward or how long it will take before I start encouraging others to tackle DK for themselves. I have no clue if I will ever again want to do anything resembling an endurance event. But as I take off downhill, it dawns on me that I have finally learned how to ride dirt and gravel at speed. It might have been easier to tackle these long distances eight years ago while we were still touring, but eight years ago I was still walking down gravel descents. A year and a half ago, I introduced Jim Cummins at the Bike Tourism Conference, and described Dirty Kanza as something which I one day aspired to even attempt. For better or worse, in less than two weeks, I’ll make that attempt. And when it is all over, I will go fishing. Thank you for taking the time to write and express your fears. It’s a difficult thing to do! As much as your videos are informative, I miss your prose. Thank you. You SHALL do it! In your own time, you shall do it. This is great. 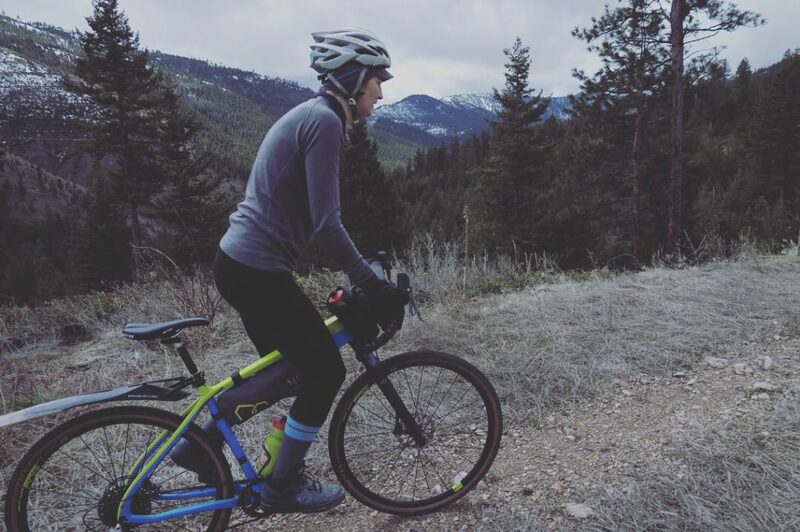 I had these same thoughts before a big goal-type ride (which I finished and will probably never try again) and it is really good to hear these thoughts voiced by someone else. Excellent stuff. Thanks. Whilst sitting by a river with a beer, you never ask yourself why.